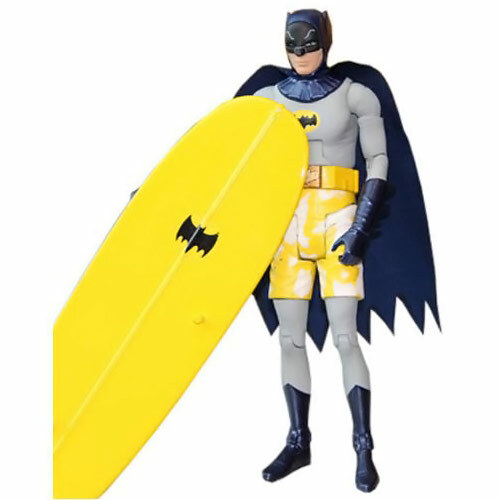 Even the protector of Gotham City needs a little time to kick-back and relax every now and then, and the 1966 TV Surfs Up Batman Action Figure gives us a very different look at the Caped Crusader as he leaves all the hi-tech toys behind to catch some waves with the Bat-surfboard. 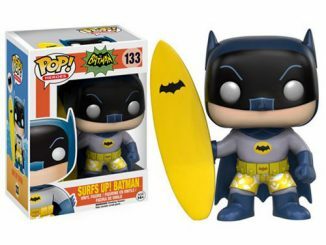 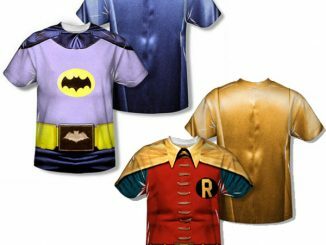 The yellow-and-white swim trunks are a little brighter than what I’d imagine the ‘Dark Knight’ wearing but I never actually pictured Batman on a surfboard so I guess my opinion of his fashion sense isn’t really that important, although he does at least match his surfboard. 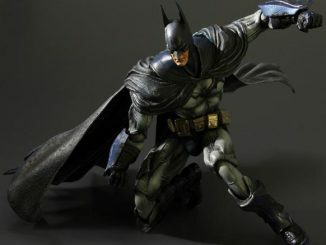 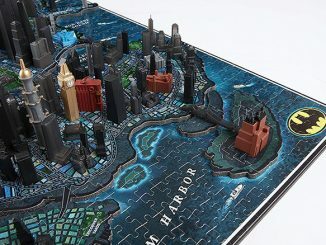 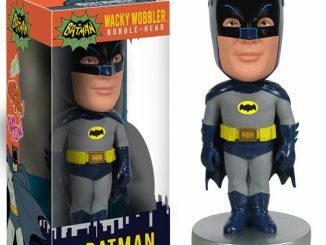 Standing at 6-inches-tall, this wave-riding scourge of Gotham City’s underworld comes with a display base that features a retro-style trading card backdrop. 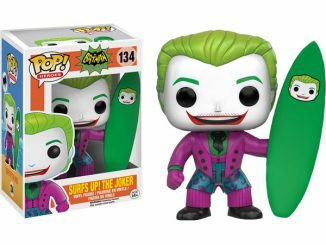 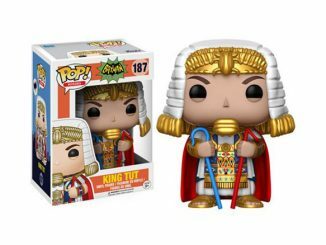 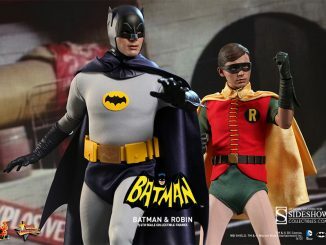 The 1966 TV Surfs Up Batman Action Figure will be available August 25, 2013 but you can pre-order now for £17.99/$27.24 at ForbiddenPlanet.com.